We offer Hoarding Advertising Display In Varanasi City. We offer Hoarding Services at major Locations in Varanasi.Contact Us for Media Planning and Effective Advertisement Services. Being a well-distinguished company in the market, we are into offering Hoarding Sign Board. Ffer wide range of Flex Hoardings. You can add as much text as you like, and even add images to illustrate your offering. Tell your visitors why they should buy from you instead of your competitors! Add a new section to describe another product or service. We are manufacturer of all types of outdoor advertisement and unipole hoarding. we have well and professional labor who can make hoarding structure as per buyer requirement. 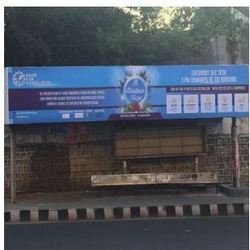 Unipole hoarding used for advertisement of any brand. Note : Prices of products are Approximate and completely depends upon Design and Buyer requirements.